With manufacturers developing technologies to monitor driver moods, Andrew Ryan explores if Artificial Intelligence is the new safety revolution. Driver welfare is increasingly becoming a focus of vehicle manufacturers when developing safety technology. Many cars already feature systems designed to detect signs of tiredness and warn the driver they need to take a break: research shows that fatigue may be a contributory factor in up to 20% of road accidents, and up to one-quarter of fatal and serious accidents. These types of crashes are about 50% more likely to result in death or serious injury as they tend to be high-speed impacts because a driver who has fallen asleep cannot brake or swerve to avoid or reduce the impact. Volkswagen’s Driver Alert System monitors driver behaviour by detecting erratic steering wheel movements and lane deviations, so it can judge the moment they start to feel sleepy and need to stop. If the system detects the driver is starting to lose concentration it will alert him or her with a visual display on the dashboard and a warning sound. If they don’t take a break within 15 minutes, the system will repeat the warning. However, even more sophisticated technologies to monitor driver welfare are being developed. Both Toyota and Honda unveiled concept cars at this year’s Tokyo motor show featuring the use of artificial intelligence (AI) to improve safety. Toyota executive Makoto Okabe says the use of AI means cars may get to know drivers as human beings by analysing their facial expressions, driving habits and social media use. This means they can detect when a driver is angry, confused, distracted or tired. Honda’s Neuv can assess its driver’s stress levels by analysing facial expressions using cameras and voice tones and provide suggestions for coping with different situations. The Toyota Concept-i also reads facial expressions and voice tones, but takes it a step further by monitoring body language. Using these parameters, it can work out if the driver is feeling happy or irritated, as well as nervous or tired. It then tries to change the mood of the driver through various sensory inputs: it might expand and contract a seat to simulate the rhythm of deep breathing to calm them down when they are feeling anxious, jiggle them to make them more alert when they seem sleepy, or trigger a herbal scent known to be invigorating. Toyota plans to have some of the technology ready for road tests by 2020. Continental has developed a driver analysis system that uses two cameras embedded in the dashboard to monitor a driver’s gaze. A computer analyses how often a driver closes their eyes and uses this information to prevent drowsiness by issuing an alert to the driver. It can also detect if a driver looks at the sat-nav for extended periods. 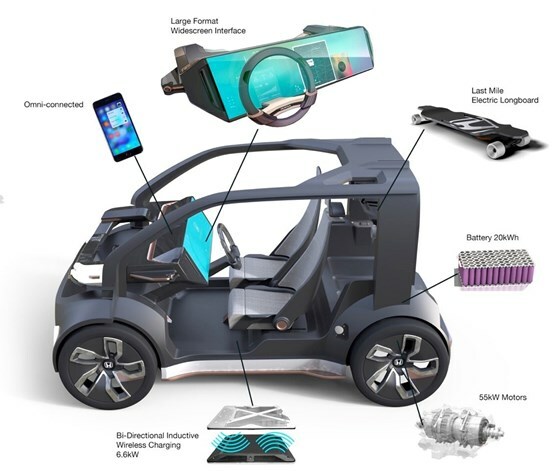 The company is also developing a car seat which uses four inbuilt thermal sensors to identify body temperatures and humidity levels. It can help the car determine whether the driver is stressed or anxious, and can, for example, turn on the air-con to cool the driver. In the future, the sensors will be able to pick up things like heart rates and breathing patterns to see whether a medical emergency is in progress. Nissan has showcased a Juke model with ‘smart’ materials aimed at encouraging drivers to remain properly hydrated. A 2015 study by Loughborough University found that drivers who had consumed only a sip of water (25ml) per hour made more than double the number of mistakes on the road than those who were properly hydrated. In conjunction with Dutch design brand Droog, a sweat-sensing technology coating called Soak has been applied to a Juke’s steering wheel and front seats. The coating changes colour when it’s in contact with perspiration, giving a simple warning that the driver needs to have a drink: when the driver is dehydrated it turns yellow, when rehydrated it turns blue. Nissan currently has no plans to add sweat-sensing technology to production Jukes. Car and van makers have until July 1, 2019, to fit all new models of hybrid and pure electric vehicles with an audible alert system to warn pedestrians and cyclists of their presence. The EU audio vehicle alerting system (AVAS) regulation has been introduced to protect vulnerable road users in urban areas where the noise of a petrol or diesel engine lets them know of the proximity of a vehicle. As vehicles which run on electricity are near-silent at low speeds, any noise created is often masked by the background noise of a city, increasing the risk for vulnerable road users. At this year’s Tokyo motor show, Nissan revealed ‘Canto’: the future sound of its electric vehicles. Perhaps best described as a high-pitched buzzing noise, its tone and pitch change dependent on whether the car is accelerating, slowing down or reversing. The sound is activated at speeds of up to 12-18mph dependent on marketplace requirements, with Nissan saying the level of the sound will be clearly audible, without being overly disturbing to pedestrians, residents and passengers. “Canto has been developed to help with pedestrian safety, as well as to provide a distinct Nissan sound,” says Daniele Schillaci, executive vice-president for global marketing and sales, zero emission vehicles and the battery business. The EU regulation also stipulates that hybrid and pure electric cars will also have to be fitted with a switch which allows drivers to turn the AVAS system off. All existing models have until 2021 to have it installed. Bosch has developed a system which employs the mid-range radar sensors used for blind spot indicators to help prevent vehicle occupants from opening their doors in the path of a passing cyclist. In this system, the sensors remain active for all car doors for several minutes after the ignition is turned off when a vehicle is parked at the side of the road. During this time, the system will warn occupants of any incoming road users approaching from the rear within a 20-metre radius. 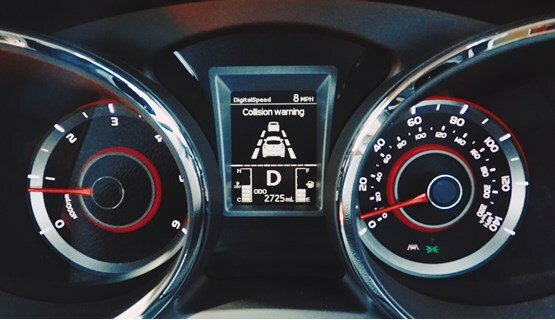 It is becoming increasingly common for new cars to be fitted with advanced driver assistance systems (ADAS), such as autonomous emergency braking, which can have a significant impact on safety. However, ADAS technologies use radar or laser sensors, and therefore rely on line of sight. Connected cars will be able to gather intelligence from further down the road, even at a blind junction or in weather affecting visibility such as heavy rain or fog. For example, it is expected to significantly reduce nose-to-tail incidents which occur when a car at the front of a line of traffic brakes sharply. Following drivers slow only when they see the brake lights, leading to a collision when at least one of the drivers fails to react in time. 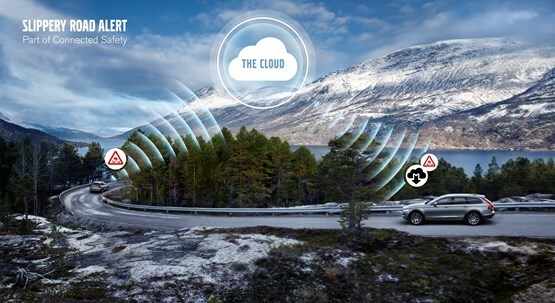 Connected vehicle technology will also be able to warn of upcoming hazards, with, for example, Volvo introducing two connected car safety features initially in Sweden and Norway: Slippery Road Alert (SRA) and Hazard Light Alert (HLA). SRA collects road surface information from cars ahead and warns approaching drivers of a slippery road section, while HLA warns of vehicles ahead that have their hazard lights on. Both systems use cloud-based data from the car to warn following vehicles of dangers ahead, and there is potential for these features to be rolled out more widely in the future. The safety options also extend to predictive maintenance and providing diagnostics which will alert motorists when a fault may be about to occur on their vehicle – again, reducing the chance of a potential traffic accident. Another element to this issue is that the data collected by these cars could be used by insurance companies to advise them on motorists’ individual driving habits and their potential risk. This then further enhances public safety by advising drivers of traffic patterns, hazards and accidents in real-time. “Safety is one of the most important areas that will benefit from connected cars and autonomous vehicles,” says a spokesman at Frost & Sullivan. Once exclusive to large executive cars, advanced driver assistance systems (ADAS) are becoming increasingly available on vehicles of all sizes. Using camera, radar and laser technology, they are able to keep cars in their lanes, warn of obstacles in the blind spot when changing lanes, provide support for pulling into and out of parking spots, and help maintain following distance, to name just a few examples. 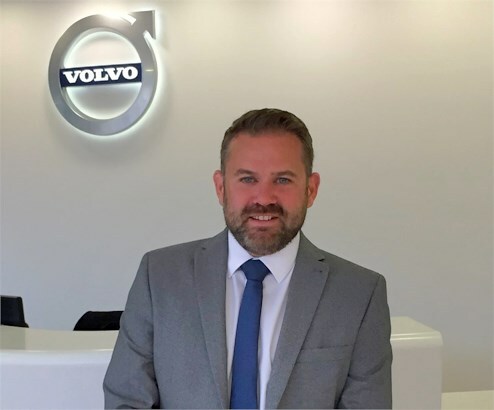 While the technology is given the generic autonomous emergency braking (AEB) tag, manufacturers will often give it another name such as Volvo’s City Safety. Laser and radar sensors continuously monitor the road ahead and pick up obstacles, such as other vehicles and pedestrians. If the system deems that a collision is imminent, it will give the driver an audible and visual warning, and if the driver doesn’t intervene, it will apply a significant braking force to try to avoid it. Research by Euro NCAP has found that the technology leads to a 38% reduction in rear-end crashes. The organisation has also included AEB systems with pedestrian detection in its safety rating system since 2016. From next year, it will include emergency braking systems with cyclist detection in its scoring system. Bosch has already developed an AEB system with cyclist detection which automatically brings a car to a stop from around 25mph. When the emergency braking system’s radar or video sensor detects an imminent collision, the Bosch iBooster initiates full braking in just 190 milliseconds – less time than it takes to blink twice. This detects vehicles approaching from the rear in the driver’s blind spot, alerting the driver should he or she be planning a lane change. When introduced by Volvo, it relied on cameras mounted under the door mirrors, which could often be fouled by grime. Now, it is more common to use radar sensors that continuously monitor behind the car and illuminate a warning light in or around the door mirror on the side where traffic is approaching. Should this have been missed and the driver indicates to warn of a lane change, an audible warning sounds. This aims to avoid collisions caused by vehicles veering unintentionally out of their lane. Lane markings are monitored by a camera and if the car moves close to the lines without the driver indicating, a visible alert or a vibration through the steering wheel is triggered. Linked to the same technology that monitors the edge of the lane, the car can make subtle steering inputs to prevent it from leaving the lane unintentionally. The steering correction can be overridden by the driver, but the system takes control if it thinks the driver isn’t holding the steering wheel. Most systems are based on electric power steering systems where it’s possible for the car to correct the steering using the power steering motor. Where it’s available on cars with hydraulic power steering, it makes the corrections to the car’s trajectory with subtle application of the brake on the corresponding front wheel to bring the vehicle back into line. This system monitors the road ahead on a single carriageway and prevents the car from veering into the path of an oncoming vehicle or other road users. Forward sensors linked to autonomous braking technology can prompt the car to alter its line smoothly to avoid a pedestrian suddenly stepping into the road, and return to the original line afterwards. Volvo remains committed to providing class-leading safety technology in its cars that helps prevent users being seriously injured or killed, but also reduce motoring costs. This is a valuable combination as fleets focus on their duty of care to their employees, but also on running an efficient vehicle fleet operation, which includes reduced insurance premiums. Our new XC60 and XC40 have both been launched in 2017 and continue to push the boundaries of safety in Volvo cars. The XC40 premium compact SUV which is available to order now for Q1 2018 delivery is the first car in its sector to provide as standard City Safety, Volvo’s automatic emergency braking system that can detect pedestrians, cyclists and large animals. Oncoming Lane Mitigation is also a standard feature, which warns drivers if they move out of their lane into the path of an oncoming vehicle. 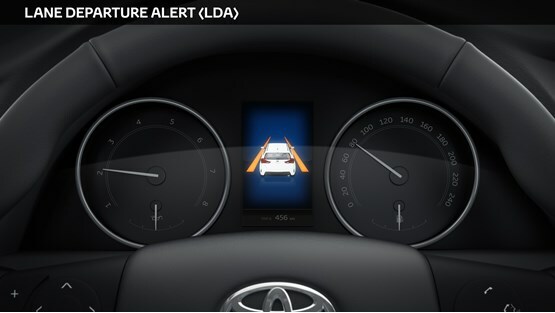 Steering Support is automatically activated to guide the driver safely back into their lane. Our new XC60 premium SUV boasts these technologies as standard, but also includes Volvo’s Blind Spot Information System (BLIS) which now uses Steering Support functionality to reduce the risk of lane-changing collisions. XC60 also includes Pilot Assist, our advanced semi-autonomous driver assistance system, which takes care of the steering, acceleration and braking on well-marked roads up to 81mph, as an option. We look forward to hearing feedback from fleet users and company car drivers over the coming months on our two exciting new SUVs.